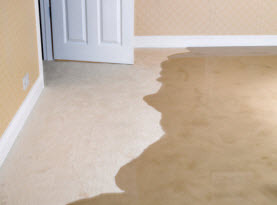 How Do You Remove Old Mud Stains from Carpets, Rugs & Upholstery in Torrance, CA? Between summer rainstorms, watering the landscaping, and letting the kids indulge in water activities, the likelihood of creating mud in the yard is fairly high. When you have mud just outside your door, the pets will track in muddy paw prints, and footprints are also a risk from being tracked across the rugs, carpets, and upholstery. Today, we at CA Carpet Cleaning and Water Damage Clean Up would like to help you remedy the muddy prints blemishing your soft floors and furnishings. 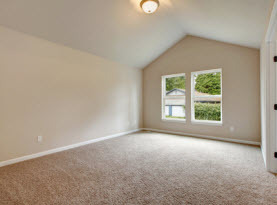 When treating mud on any carpet, rug, or upholstery, the first and most important step is to do nothing. You must fight your impulse and leave the mud as is to dry. Where professionals express the need to immediately treat spills and accidents on these surfaces, this is one of the exceptions to that rule. Let the mud paw prints dry. Dry soil is a lot easier to simply vacuum where trying to blot up mud often pushes the mud out and down, creating an even bigger mess. 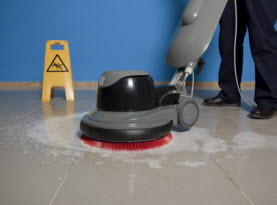 1) Ensure the mud is completely dry before vacuuming the remnants. Vacuum at a slow steady pace and in more than one direction for more efficiency. 2) To treat any spotting residues, combine 2 cups white vinegar, 2 cups cool water, and 1 tbsp mild liquid dish soap in a spray bottle; blend together well. Mist the affected area with your solution and with a clean, dry towel, placed over the top, blot with pressure to absorb the moisture and lingering residues. 3) Sprinkle baking soda onto the damp surface and let it sit until the area is dry. Vacuum the baking soda thoroughly. 1) Before completing any further steps, wait until the muddy prints have dried and vacuum the remaining dirt. Vacuum the area in various directions and at a slow pace to make sure all the debris is removed. Remember dirt begins to accumulate below the surface so just because you can’t see the dirt doesn’t mean it is not there. 2) If any residues remain, mix 2 cups each of white vinegar and warm water with 1tsbsp mild liquid dish soap, stir well in a spray bottle. Apply the solution by misting the affected area lightly. Follow up with a dry towel and apply pressure to blot out the excess moisture and remaining residues until the surface is clean. 1) Let the mud sit until it has dried. After it is completely dry, use the vacuum’s hose and upholstery attachments to efficiently vacuum the dried soil. 2) Mix well 1 tbsp liquid dish soap and 2 cups cool water in a bucket or squirt bottle. With a clean cloth, apply the solution directly to the cloth until it is lightly damp. Use the treated rag to blot the remnants of the once muddy paw print until the residues are gone. 3) To avoid over saturating, use a dry cloth to blot in between applications and repeat until the spot is gone. We hope this got rid of those muddy paw prints and footprints. 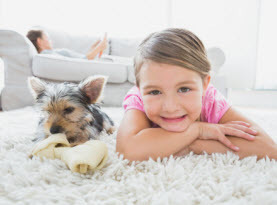 Healthy carpets should be cleaned 1-2 times a year or more as needed. When your carpets need cleaning, call us at CA Carpet Cleaning and Water Damage Clean Up.